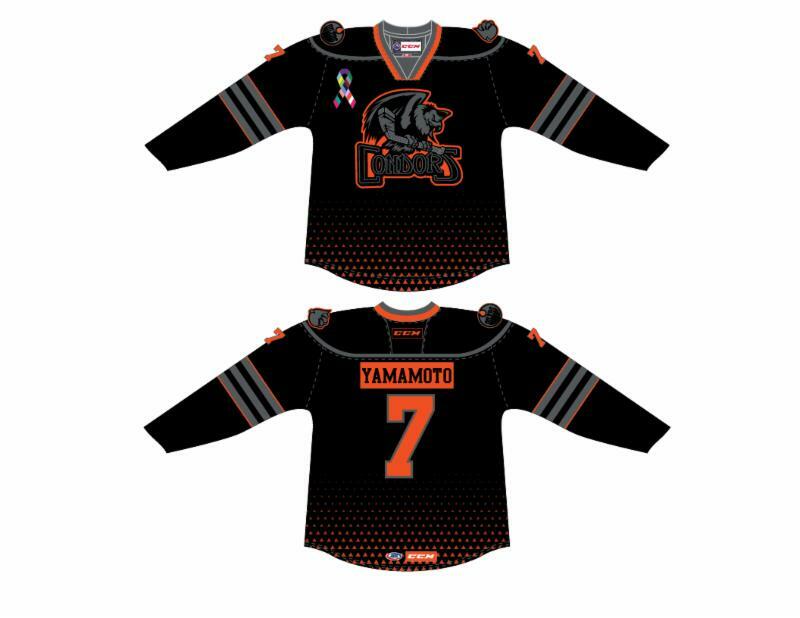 CONDORSTOWN, Calif. –The Bakersfield Condors will wear specialty Blackout Cancer jerseys on Saturday, Feb. 16 to benefit the Kern County Cancer Fund. Fans have the opportunity to enter the “Golden Ticket” to win the #7 game issued jersey of winger Kailer Yamamoto. Only 100 tickets will be sold at $30 each and can be purchased by clicking here.